In the past, it has been very difficult and expensive to create a cartoon because it usually includes costly desktop editing software, even if you have a good idea of what you want to do and enough time to create the project. However, thanks to the advancement of technology, creating a cartoon video is no longer challenging and costly. There are many easy-to-use and even free cartoon video makers on the Internet, from web-based to desktop apps. We collected some of the best apps. With the help of them, you can make a high quality animation video in a timely fashion. Moovly is an online animation app. It is cloud-based, which means you do not need to download any software. A stable internet connection and browser are all you need to start your cartoon project. Moovely has free and paid version. The free trial version allows you to use Moovely for 30 days. However, it produces 10-minute video only in 480p quality with a watermark inside. The key feature is that it has multiple animation libraries which contains 500,000 assets including music, photos, motion graphics, etc. How to Make Cartoon Video with Moovely? Visit Moovly and create your account and your profile. Click “Create Moov” and input the title of your project. Select a background style for your future project under “Stage Properties” and start adding objects to your project. Click “Save” button and go back to your profile. Click on the video you created and then click “Details” > “Download/Publish”. Another popular online application to create cartoon video is GoAnimate. This video maker is very prominent because it has rich resources. You can even create cartoons so professional that could be on TV. 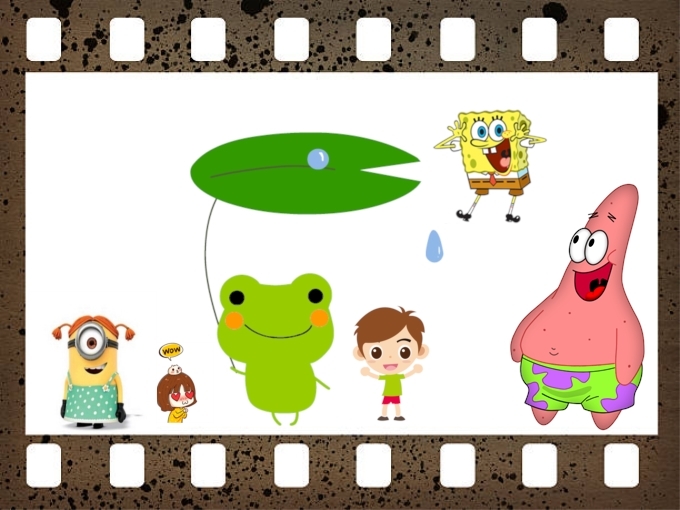 You can choose from various animated characters and add texts and narration or voice-over. The only problem is that its paid version charges $79 per month while the free version does not allow you to download the file and there is a GoAnimate logo on the cartoon. How to make cartoon videos with GoAnimate? Register an account on GoAnimate and click “Make Video” button. Select the style you want to use for your cartoon – “Business-friendly”, “Whiteboard Animation” and “Business as Visual”. Choose the multimedia you want to use from the left panel and insert it into your editing panel. Apply animated motions to your objects. You can choose the character, background music and more. When you’re done, click “Save” > “Save and close” and choose the format for your file. Note: If you are using the free trial version, you won’t be able to download the video directly to your computer. You can just copy and share link with your friends. 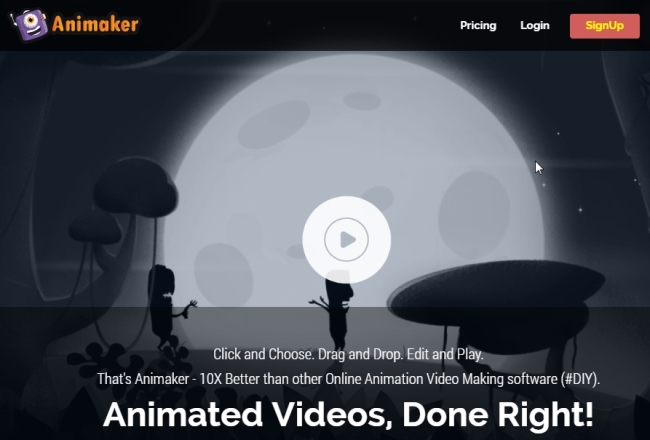 Animaker is also capable of producing professional animated videos online. This app is composed of thousands of characters and text styles with built-in animation effects. 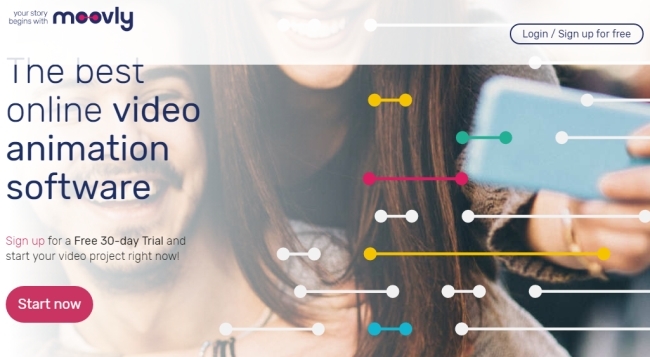 Via drag and drop, you can make a more an exquisite and comprehensive video for your viewers. How to make cartoon video with Animaker? Search for Animaker in the browser and create your own account. Click on “Create a video”, select a template that you want to use and fill in the necessary information. Edit the timeline, like changing the characters, motions, and so on. Click the Save button and you can upload the video to YouTube. Note: The free version doesn’t allow you to export the file to your computer unless you buy the plan it offers. You can upload it to YouTube and then download it. 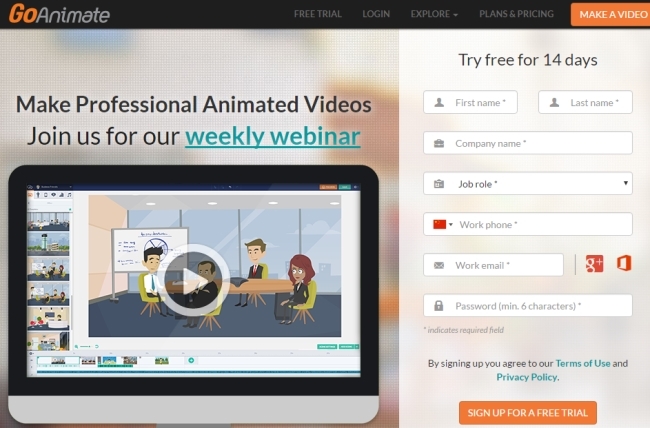 Explee allows people to make cartoon video interactively like the advised apps can do. It has one blank template with which to start. While it does not have amazing templates, it has diverse editing capabilities which is enough to build an interesting and eye-catching animation. You can easily insert text, objects, and animations. You can also add your own narration and soundtrack. How to create cartoon video with Explee? Access Explee and sign up. Click “New Video” and the page will direct you to where you can add media files. Select the background for your project. On the timeline, click “Add” button to add pictures or texts. Under that, you will see the audio and narration track. Just click on the “Add” button if you want to put some into the video. Hit “Export” and choose the format as well as the quality. You’ll get a url that you can email to your friends or share it on social networks. Note: This web service doesn’t allow you to save the video to your computer. People are forced to buy the plan if their want to download it. For a more clear comparison of the online cartoon video makers, take a look at the table below. How to Enhance Cartoon Video with ApowerEdit? You can simply create your funny cartoon video with these online cartoon video makers successfully. However, if you think the video effect is still far from satisfying, you can use ApowerEdit, a professional video editor, to enhance your cartoon video. It has an intuitive user interface and multiple powerful features. It can color correct videos, increase the video speed, add annotations, apply filters, overlays, transitions, and more. Rating: 4.3 / 5 (based on 40 ratings) Thanks for your rating! How to Download 8k Video Free?